Karavan's boat trailers are the reason why we are the leader in trailer transportation. From our 900 lb. capacity to our 12,000 lb. 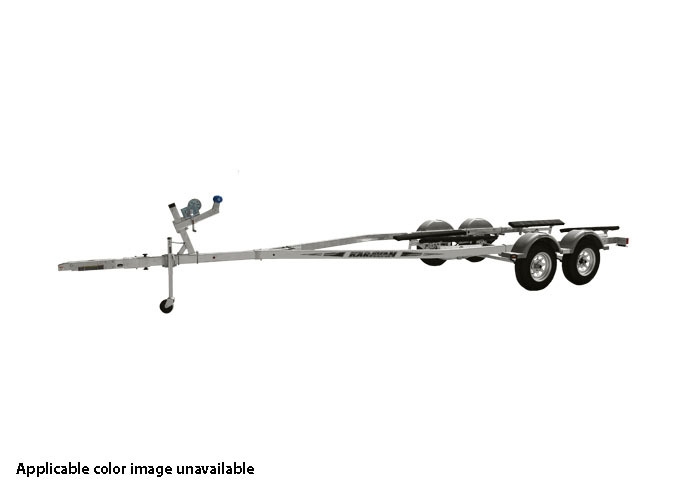 capacity, our trailer's functionality, reliability and performance are unmatched. The materials we use to build our trailers are set by our strict quality standards to ensure your Karavan trailer gets your family to the water safely. Fully-adjustable bunk and winch systems give your boat the fit it needs, and adjustable running gear (standard on most models) gets the trailer weight balanced for ease of towing. Our sure-lube grease system and plug wiring with submersible lights top off the perfect combination for a safe, reliable trailer.